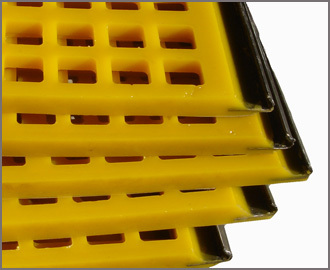 Polyurethane Tension Screens offer the advantages of being longer lasting, more efficient and lighter to install in screening situations where material specifications frequently change. 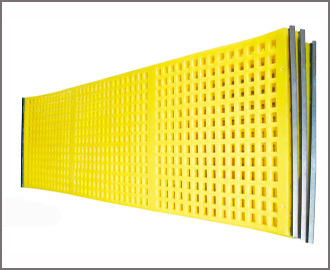 Kosin casts polyurethane tension screens in large sections reinforced with internal cables so that tension can be applied to the screen. 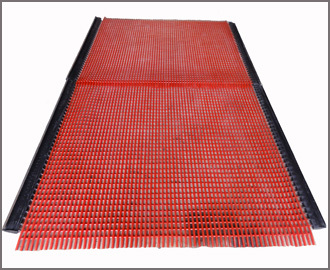 Combining the positive aspects of traditional wire screen cloth and the long wear characteristics of urethane, it’s widely in screening industry. 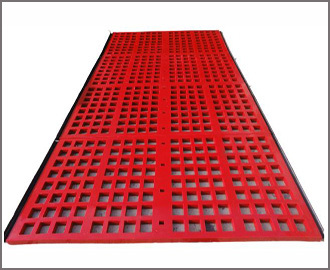 Panel size: Customed length and Widt.